Remember when you didn't need a computer science degree from the Massachusetts Institute of Technology (MIT) to actively diagnose automotive issues? If something was wrong, you just tinkered with the parts. Sure, maybe we're over-exaggerating, but most new cars are, essentially, computers. They contain On-Board Diagnostics (OBD) systems that monitor the performance of major components and generate codes to indicate if something has gone awry. The first number in the DTC lets you know whether it is specific to the vehicle manufacturer or is an SAE generic code that applies to all OBD II systems. 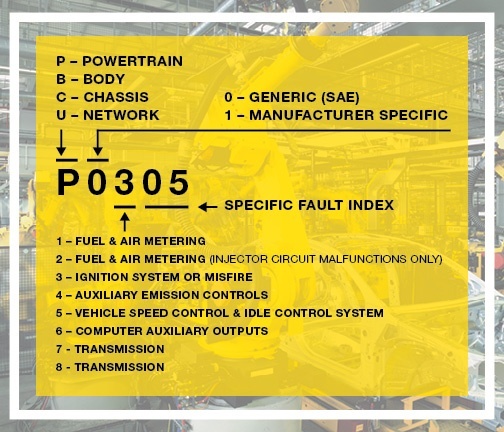 The last three numbers provide information regarding the specific vehicle circuit and system. and diagnose a vehicle's on-board problem. Accurate diagnosis is key to repair based on manufacturer suggestions. Being able to identify these codes will lead to decreased downtime and higher productivity. Did you know that TPC Wire & Cable Corp. offers a vast selection of automotive wire, cord, and automotive cable accessories? Did you also know that we offer an OBD Interface? Let's start the conversation today on how we can reduce your downtime and costs.